The Action-Packed Trailer For “Force 2” Is Here! 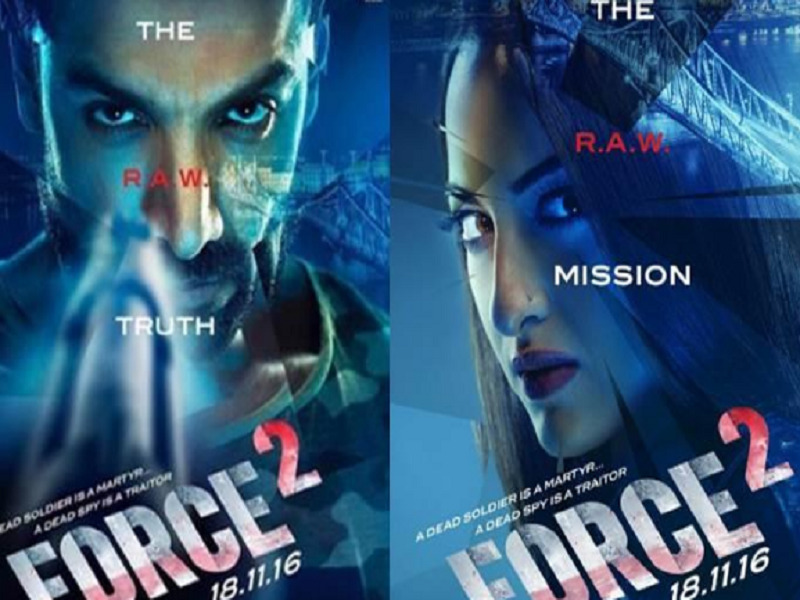 The first trailer for the anticipated Force 2 has hit the net. The movie is a sequel to Force that released in 2011. That one was a huge surprise because of its gritty action and a wonderful negative character essayed to perfection by Vidyut Jamwal. The sequel seems to have upped the ante by taking the action abroad with the plot suggesting a conspiracy within India’s external intelligence agency, R.A.W. which involves the new antagonist Shiv, played by Tahir Raj Bhasin. John Abraham has mastered the tough-as-nails persona over time and it is on full display here. The movie also has Sonakshi Sinha who has so-far failed to deliver one good performance save for her work in Lootera. Here’s hoping Force 2 will change that. The movie has been directed by Abhinay Deo, who previously helmed the wildly successful Delhi Belly and the colossal flop Game. The movie hits theatres on November 18. Check out the trailer below.